Introducing our beautiful Mirrored Crystal Clock. This piece is made from mirrored glass and MDF and comes in a stunning silver colour. 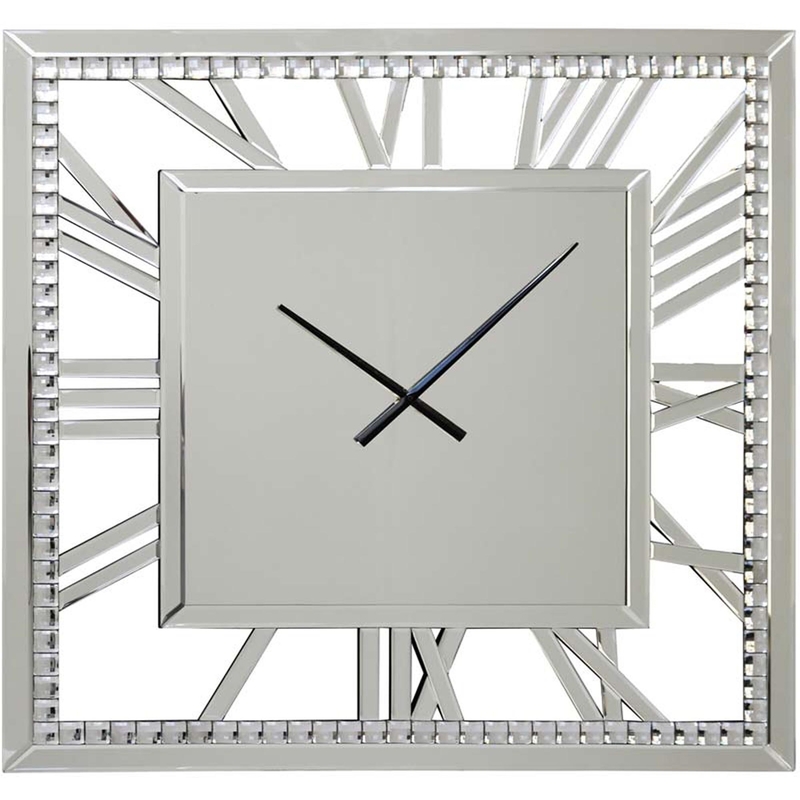 It is a square shaped clock and the roman numerals are placed in a way that creates more style. On the inside of the frame there is a row of glass crystals which bring out a more glamorous and luxury side to this clock, making it look exquisite in any home.